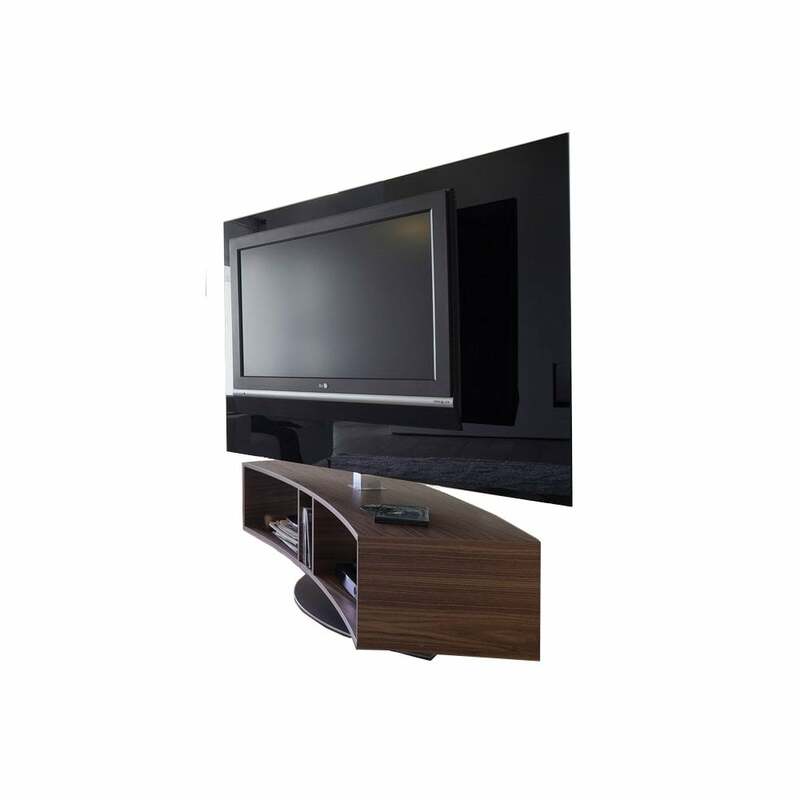 Swivel TV stand. Canaletto Walnut frame. satined steel base, TV holder panel in extra light tempered painted glass cm.140x95. Hang on bar included. A product of great personality; the right balance and the originality of the design make the Odeon tv stand the focal point of any room.